Vital Signs Software provides software strategy, design and development expertise to healthcare organisations. We are specialists at integrating clinical systems using healthcare standards including HL7v2, HL7v3, and FHIR; and to the NHS Spine. 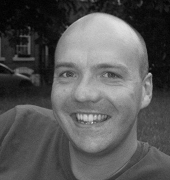 Jonny has over ten years' experience in the healthcare IT sector. As Architect and Senior Developer for EMIS Web, the leading primary care clinical system in the UK, he designed and delivered a number of flagship modules, including Registration, PDS, SCR, Business Continuity and PAS integration. He also designed, delivered and maintained the EMIS Web MPI, a 39M patient demographic index, used to facilitate clinical data sharing throughout the country.